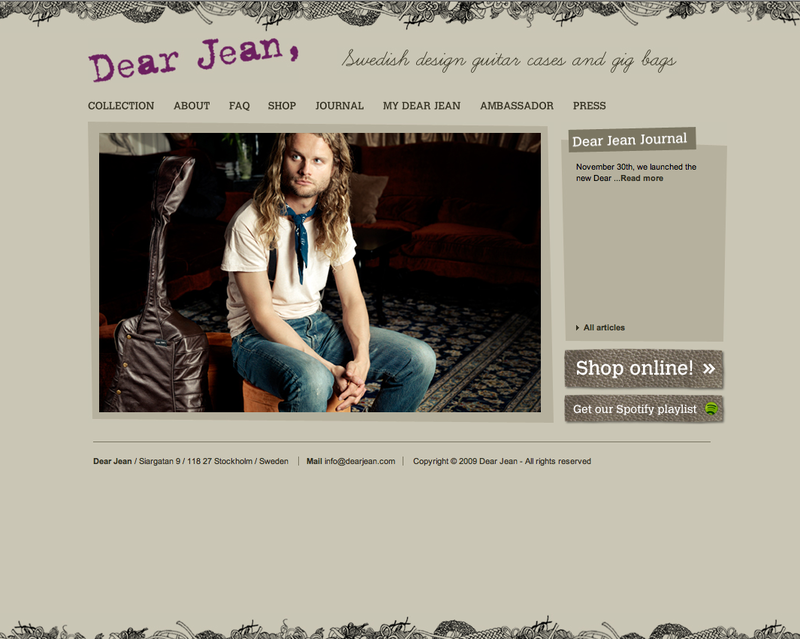 November 30th, we launched the new Dear Jean website, http://www.dearjean.com/. And today, the world witnesses the humble premiere of the Dear Jean Journal. 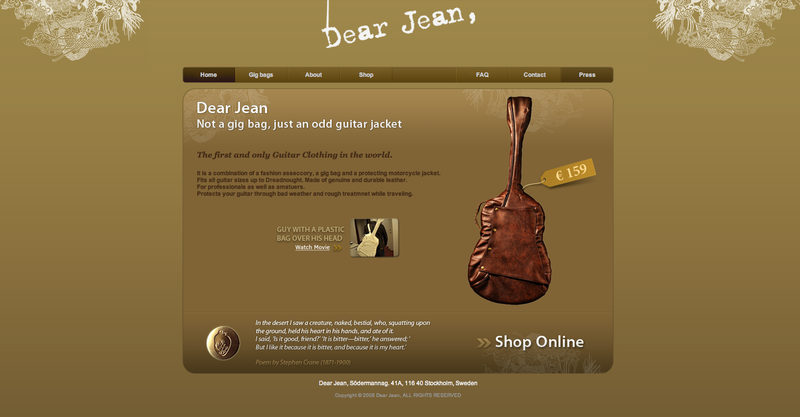 The Dear Jean Journal will give you news and updates on Dear Jean Guitar Clothing. In addition, the journal will embrace what lies close to the Dear Jean core idea; uncompromising art and the ability to think independently, whatever it may be. 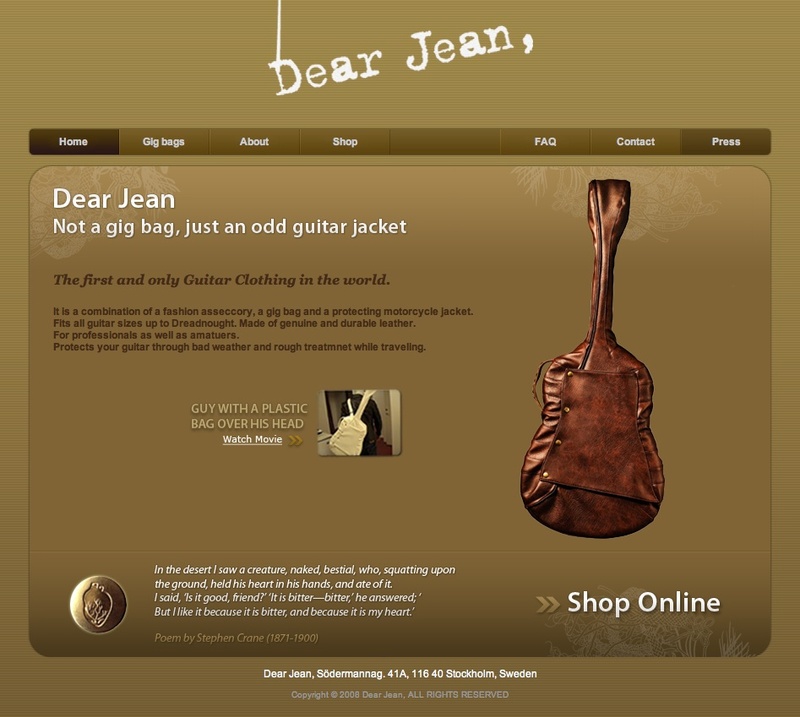 …and welcome the new look of Dear Jean. For futher info on Dear Jean, http://www.dearjean.com/ is now available.